Charles Schulz’s world-renowned comic strip PEANUTS comes to graphic novels for the first time! For the first time ever, Charles Schulz’s world-renowned comic strip, PEANUTS, takes the stage as a graphic novel! 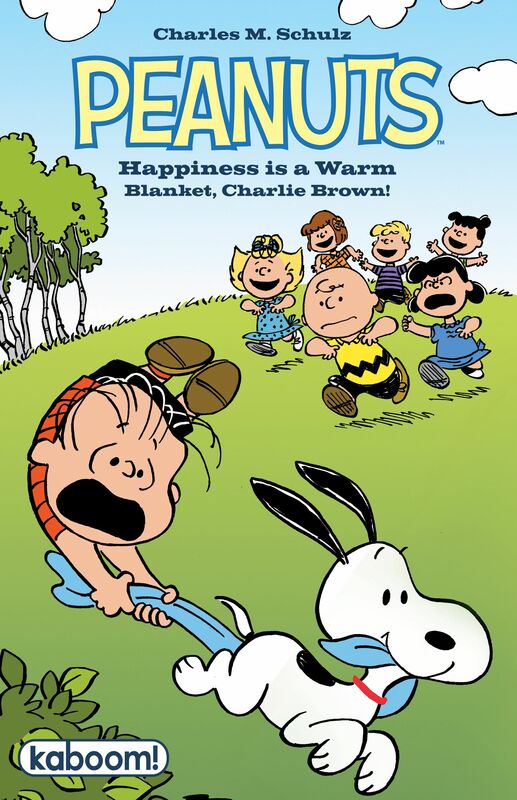 Adapted from the brand new animated special, Happiness is a Warm Blanket, Charlie Brown, this 80 page retelling takes us back to the neighborhood and features Linus’ insecurities, Charlie Brown’s kite-flying woes, Lucy’s unrequited love for Schroeder, and everyone’s favorite beagle, Snoopy, in a lively and colorful spin through Charles Schulz’s imagination. HAPPINESS IS A WARM BLANKET, CHARLIE BROWN is certain to please old and new fans alike!